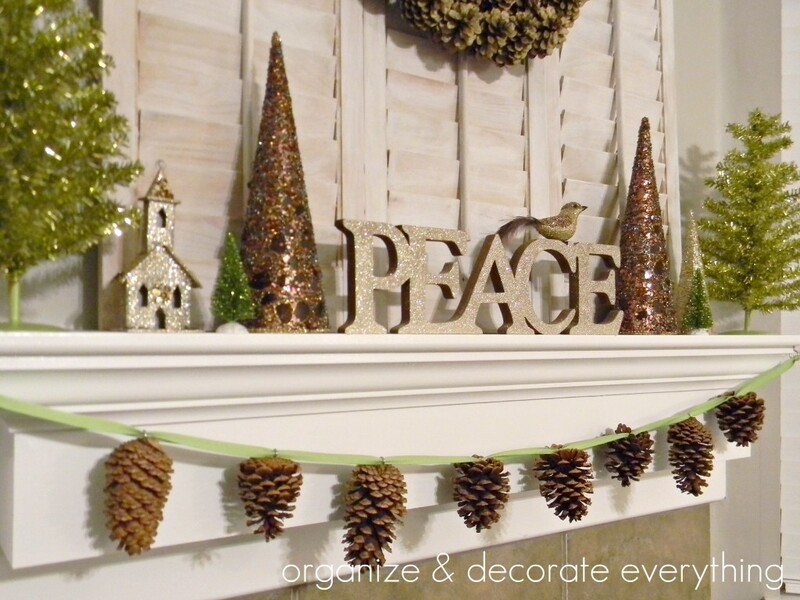 I love this beautiful pine cone garland that I found at organize & decorate everything. I love this pine cone wreath over at u create via V and Co. I love these beautiful, bright colored pine cones over at HGTV. 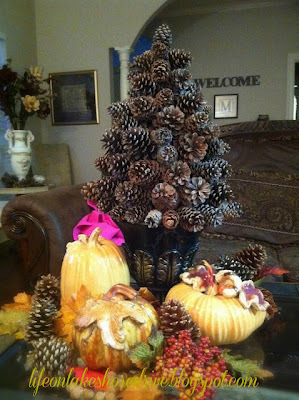 Have a look at this GORGEOUS pine cone tree over at Life on Lakeshore Drive. Smile Monsters has shared these pretty pine cone decorations! 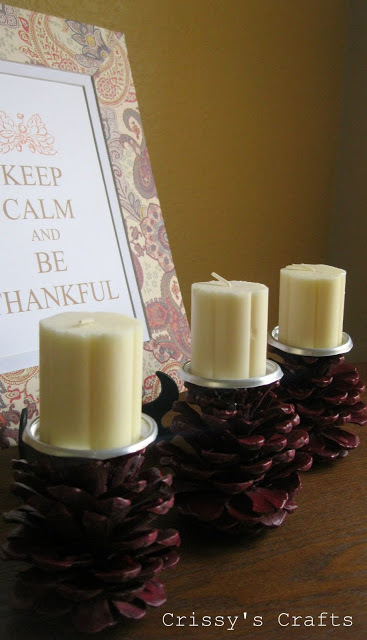 I fell in love with these gorgeous and so SIMPLE to make, pine cone candle holders that I found at Crissy's Crafts! 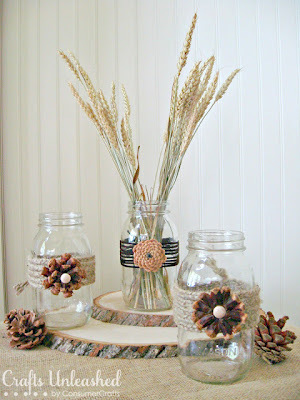 For even more pine cone craft and decoration ideas... see my pine cone crafts and decor round-up right here. 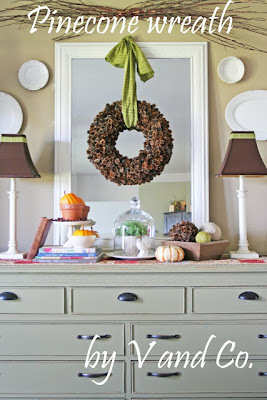 Jamie, these are fantastic! 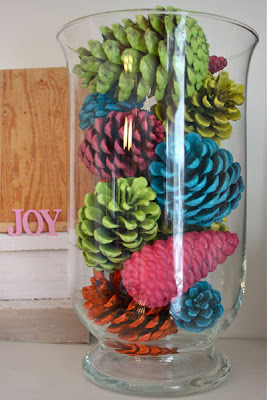 It makes me wanna run out and start collecting pine cones! :) shared a little. 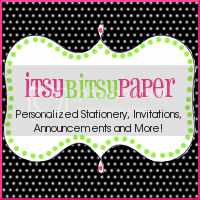 Thank you :) So glad you enjoyed this!